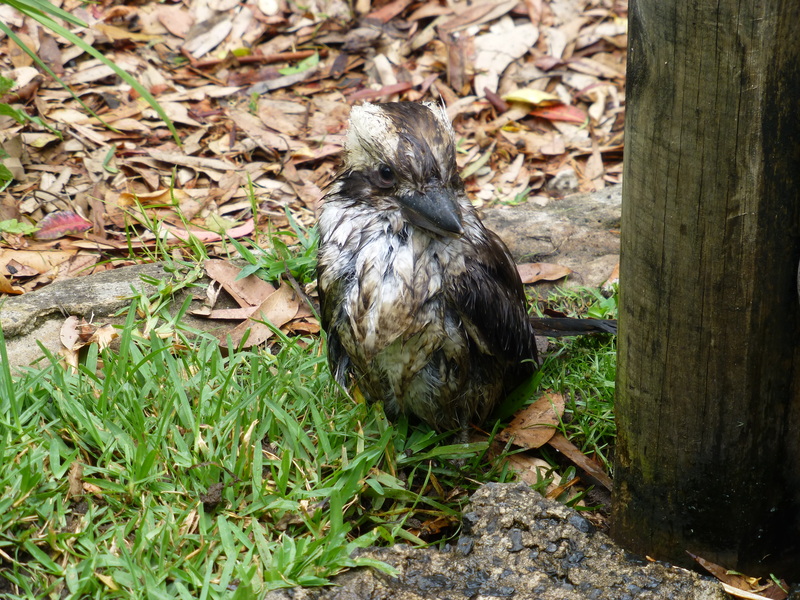 Kookaburras are amazing! 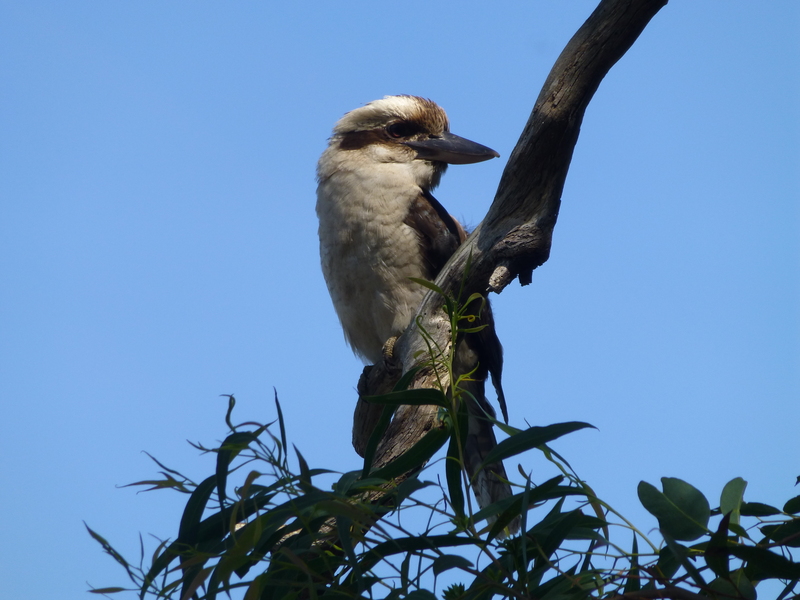 Unique in so many ways — voice, character and appearance to name but a few — they surely are hard to beat as representatives of Australia’s wonderful bird-life. As Sydney swelters through hot, early-summer days and high humidity, keeping cool becomes a priority. Enjoy this, my 750th post! 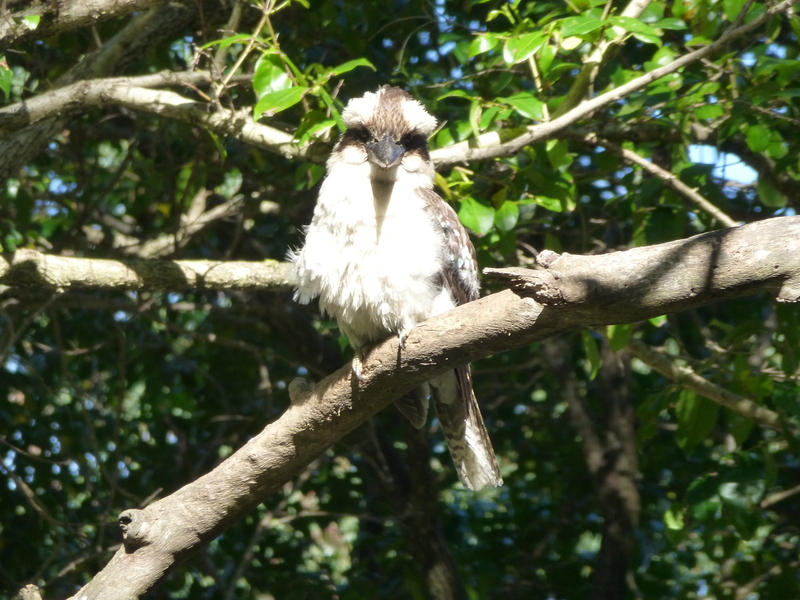 Australia’s iconic Laughing Kookaburra is a handsome bird. 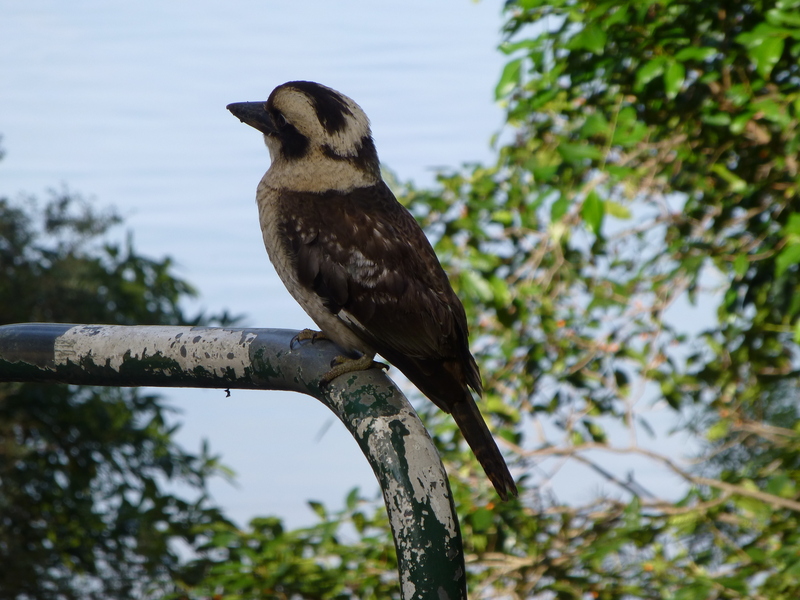 Here is one in a contemplative pose, perched on a handrail at the local park. 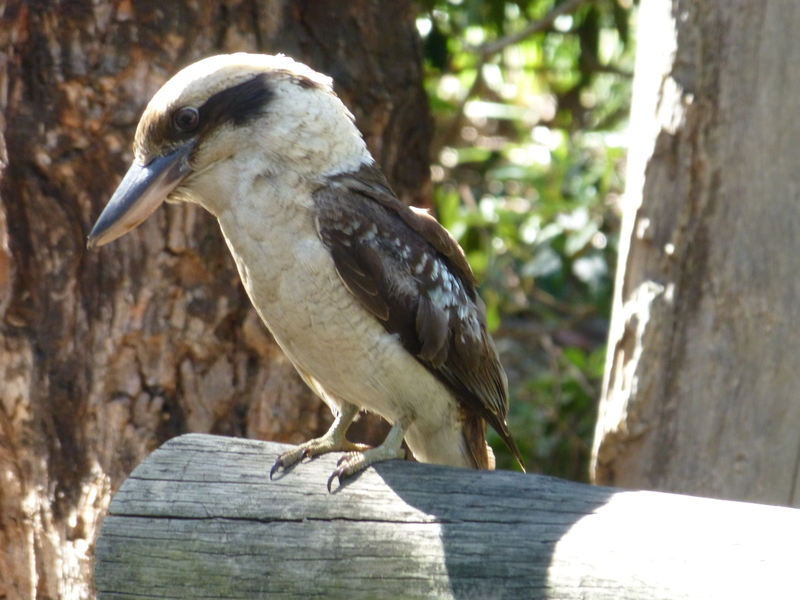 These birds are quite used to humans, and often cadge for food from picnickers. 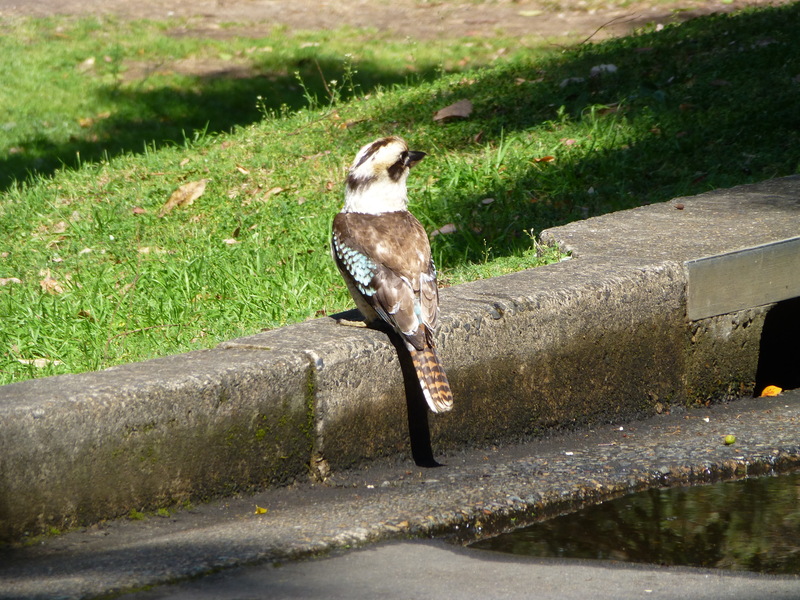 Here he perches in a confident pose. 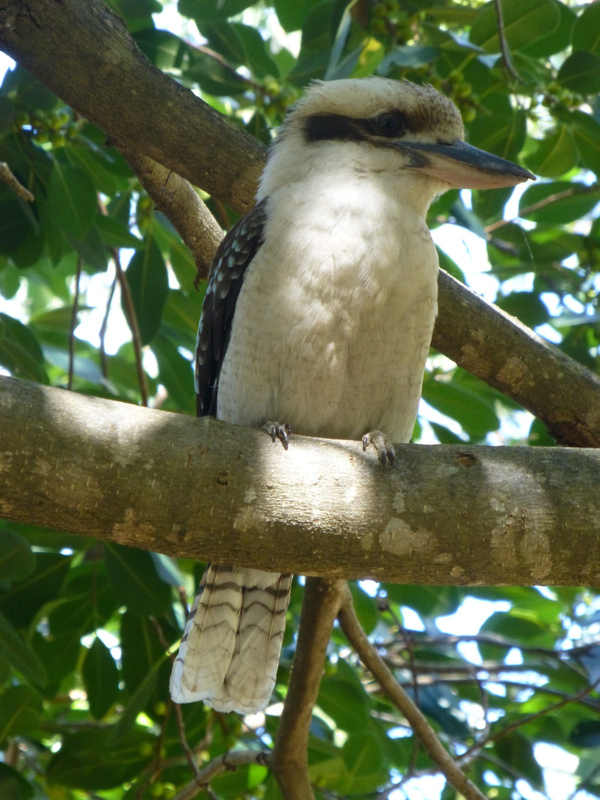 These kingfishers rank highly among our most endearing Australian birds.